Accreditation basis: DIN EN ISO/IEC 17065. 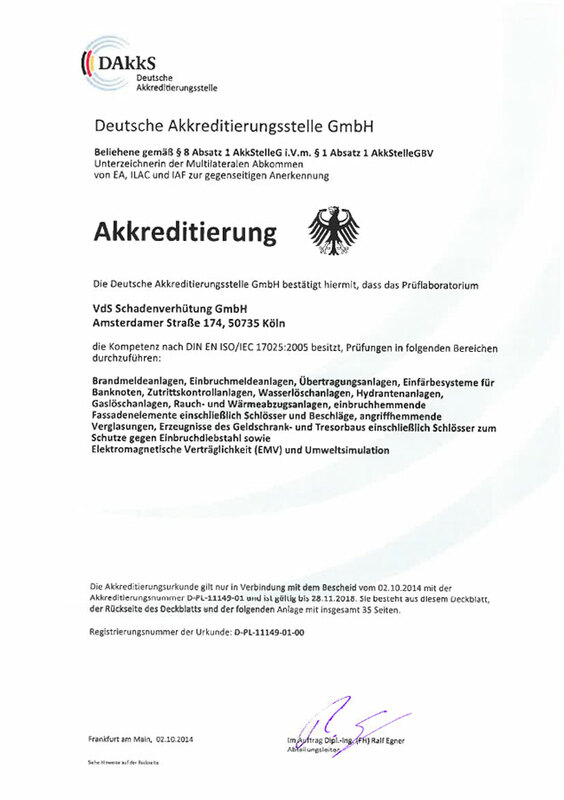 Note: Deutsche Akkreditierungsstelle GmbH (DAkkS) was founded by the Federal Republic of Germany (represented by the BMWi) on 01.01.2010. DGA (formerly DACH, DAP and TGA/DATech) and DKD were merged in this GmbH. The DAkkS completely covers the previous fields of activity of DGA and DKD. 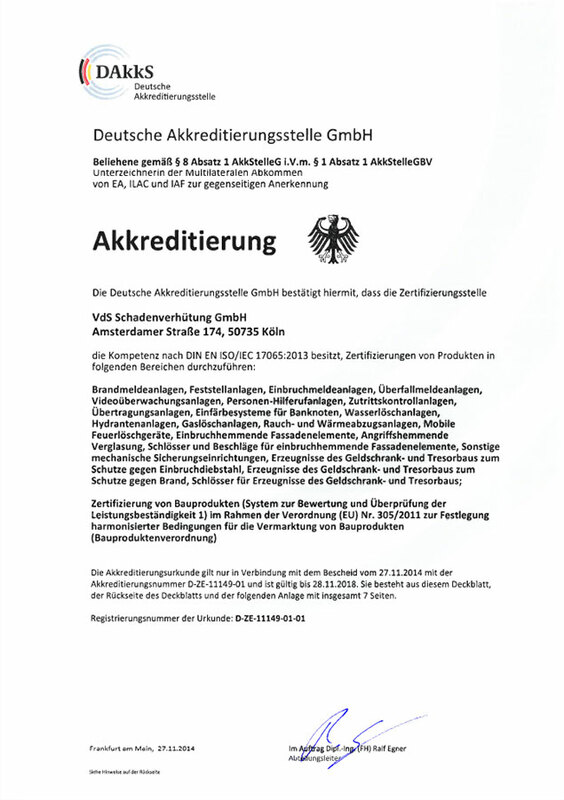 The accreditations of DACH, DAP, DGA, TGA/DATech and DKD will remain valid until they expire and are monitored by DAkkS.